Video Tape To DVD Transfer as low as $8.95 ea! With each video tape transfer to DVD, you will get one DVD per each tape. We can also transfer your video direct to a digital file (MP4, ProRes, etc. ), combine multiple video tapes onto a single DVD, or make additional copies for you to share with your family and friends. Not sure what tape format you have? Give us a call - we can handle most all Broadcast and Consumer formats (see our complete list below). If you are mailing your videos to us, Fill out the Video Transfer Order Form. After we receive your tapes, we will review your order and email you an order confirmation. Don't hesitate to call or email us if you have any questions! Preserve your video tapes now! Get them transferred to a digital file or disc before it's too late! 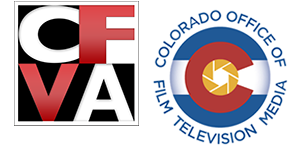 For more than 35 years we have specialized working with broadcast and consumer video tape formats and are proud to be the largest facility in Colorado to do this kind of work. Since 1982 we have provided video duplication, video standards conversion, digital transfer services, and are seasoned experts at providing you the absolute best video transfers. We can create Digital Clones from digital video masters, TV commercial spot dubs, transfer your analog video masters to DVD or to a digital file, convert foreign video's (digital standards conversion for PAL or SECAM) to or from our North American NTSC video standard. If you need to transfer your video to a digital file for post production editing or DVD authoring, you can rest assured we have the tools and talent, to give you the best possible digital transfer available! Are your VHS tapes gathering dust in your basement? 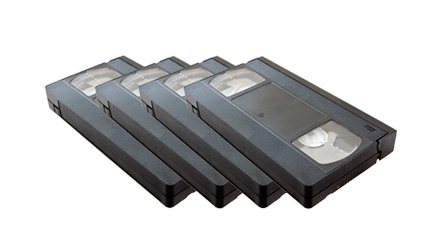 With our video tape to DVD transfer service, convert them to a digital DVD before it’s too late! Transform your old video tapes to DVD and relive your memories on your TV or Computer. This makes a great gift for your kids and family to treasure for years to come, or to give to your parents as Christmas or anniversary gifts! Our experienced technicians and state-of-the-art equipment ensure your memories are transferred safely and look great on DVD! If you have old video tapes that won't play, you're probably experiencing something called "sticky shed". What's happening, is the tape is chemically breaking down. As magnetic tape ages, the binder that adheres the oxide to the polymer base will breakdown and the tape will stick to the adjacent layers of tape. All is not lost, we have a process to restore these video tapes, so we can transfer the content to another video format or digital file. So don't throw those vintage video's away, send an email or give us a call and let us restore those precious memories! Our video production staff is experienced, knowledgeable, and simply put - we know what we're doing. 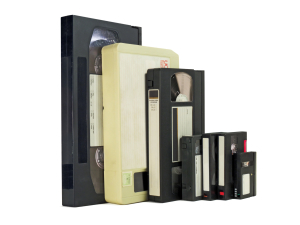 Our customer base extends nationwide and have been duplicating video tapes since 1982. We are fully equipped to handle most High Definition and Standard Definition formats. Our duplication equipment is well maintained and we use only broadcast distribution amps, routers, patch bays, time base correctors, reference monitors, foreign standards converters, analog to digital media converters, and utilize HD SDI signal path for the newer digital video tape formats. What’s Our Video tape to DVD Transfer Process? Our video duplication transfer services include setting up your video master to bars & tone, processed through a Time Base Corrector, appropriate set up of video and audio levels, and stringent quality control monitoring -- all to broadcast standards. With newer formats, we can make digital clones from your master, down convert HD to SD, transfer older analog video tape formats to newer digital video formats, or to DVD. Rocky Mountain Audio Video Productions, Inc. is located in the south Denver suburb of Littleton, Colo., and we service customers nationwide. It doesn't matter if you are in Denver or not -- just ship us your tapes and get the best video transfers at the best rates available!